Interest is the monthly charge the bank or financial institution charges you for providing you with a lump sum of money upfront. They also charge other fees such as an initiation fee and monthly service fees but, apart from the capital (the amount of money they lent you) the interest will be the biggest cost of the loan. The interest rate can either be fixed or variable. Most personal loans are at a fixed interest rate. This means that the rate is agreed upon upfront and will not change for the duration of the loan period. If the loan has a variable interest rate, your interest and monthly repayments will go up or down as the prime rate changes. If, for example, you get a loan at a variable rate of 15% and the prime rate increases by 1%, your interest rate will go up to 16% and your monthly repayments will increase. If the prime rate drops, then your rate and repayment will decrease accordingly. 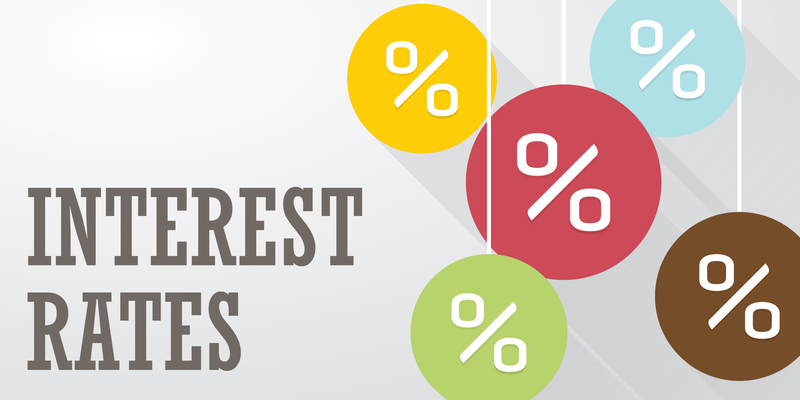 It is important to understand how the interest rate affects your loan. Obviously, the higher the interest rate, the more you pay per month and in total to repay your loan. The government has, through the National Credit Act (NCA) specified maximum interest rates lenders can charge on various types of loans. These limits were designed to give the consumer some protection and prevent lenders from charging exorbitant rates. Understanding the importance of interest will be useful when negotiating as the rate does differ greatly from one institution to the next. The better informed you are, the better decision you will be able to make. By way of example, let’s assume you wanted a R 5000 loan over 5 years (60 months). At a rather good interest rate of 10.5%, you would pay a monthly instalment R 237.20 and a total amount of R 14 232 over the period of the loan. If your interest rate was set very high, at 28%, you would pay R 295.32 per month and a total of R 17 719. This is a rather extreme comparison but you will see that with the higher interest rate, you will end up paying R 3 487 more over the term of the loan. Remember to look not just at the interest rates but all other costs such as initiation fees, monthly service fees and life cover where applicable. You also need to consider the term of the loan. The longer the term of the loan, the longer and the more interest you will pay. Look at the total cost of the loan, not simply the monthly cost. The important thing is to shop around. The loan market is extremely competitive and the rates can differ dramatically from one company to the next. Fortunately, the internet has made this extremely easy to do. If you search for loan providers in South Africa or go directly to the bank’s websites, you will be able to get a lot of information. Most of them have calculators that you can use to get an idea of your affordability. They also have calculators to work out your monthly repayments and total costs. If you wish to apply for a loan, you can do that online as well. Your credit history and credit score will also have an influence on the interest rate they offer you. A person with a high (good) score is less of a credit risk and will, therefore, qualify for a better interest rate. If you score is bad, you might have settle for a much higher rate if you need a personal loan. Apart from your credit score, the lender will also look at your affordability. This means that your income and monthly expenses, including other debts, will be a factor in determining the interest rate you will qualify for. When applying for credit, always shop around for the best possible deal. Make sure you are aware of, and understand all the costs, including the total cost of the loan.